Wonderful ... We LOVED our stay at Bondalem. Snorkelling was the highlight and the location was perfect for us - away from the crowds and shops in the south. 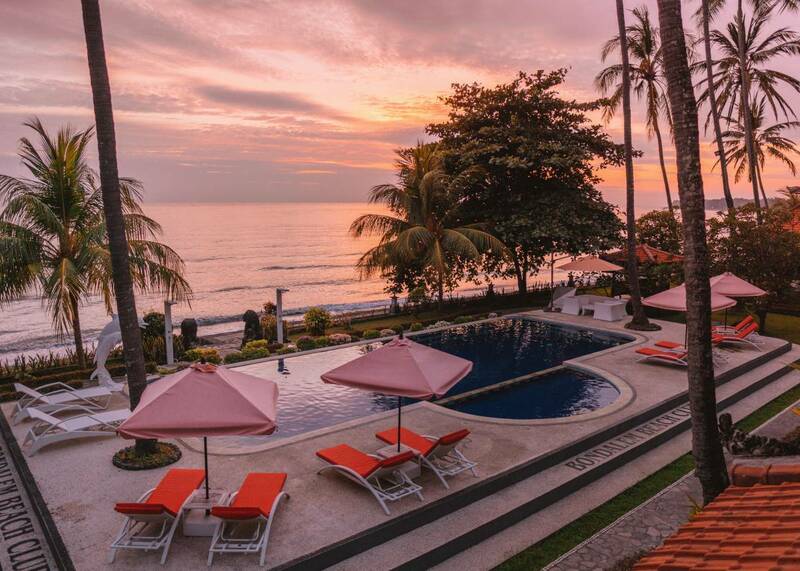 Nestled under coconut trees this elegant beachfront hotel located in traditional balinese village, surrounded by untouched nature . The Best place for those who need to get away from all the stress of daily life, to enjoy nature, diving, snorkeling, see dolphins, waterfalls. Perfect location for families with children as well as for yoga and fitness group tours. Family Bungalows Four Double-storied Luxury Family Bungalow with balcony on the second floor located only 15 meters from the sea and provide astonishing sunrise view. Each bungalow can comfortably accommodate up to 4 persons. An ideal variant for families with kids. There is a king-size bed on the second floor with balcony. There are two sofa beds on the first floor that can be transformed into king-size bed. Upon your request we provide baby cot for free. Double-Room with veranda Two comfortable Sea-View Double Rooms located on the first and second floor of bungalow, have private entrances, own verandas. Equipped with king size beds and have the same facilities as family bungalow. Sea and swimming pool view. 11-Bedroom compound Unique beachfront compound/villa with own swimming pool - it is a hotel inside hotel. 8 double rooms with twin or double beds located on the first or second floor 1 De-lux double room with king-size bed, veranda facing Bali sea, located on the first floor 2 Luxury double rooms with king-size beds, bathtubs on verandas facing Bali sea. located on the second floor All rooms have separate entrances, equipped with AC, safe boxes, TV. Its only 2 meters to the sea ! No other place like this. 2-bedroom Garden-view Villa For those who want more tranquility and authentic Bali experience we are offering accommodation in 2-bedroom villa located 70 meters from Bondalem Beach Club, not on the beach, but surrounded with a lush fruit garden - papaya, mango, rambutan, lime, pineapple - for a period of your staying it will be exclusively Your garden). Villa has fully equipped kitchen. Guests use all facilities of Bondalem Beach Club - swimming pool, fitness area, breakfasts at BBC Restaurant.